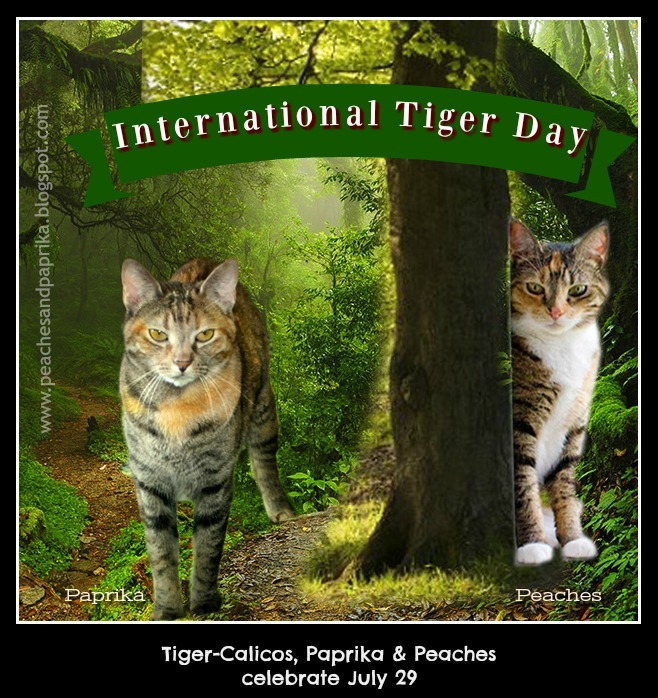 Peaches and Paprika: Happy International Tiger Day! 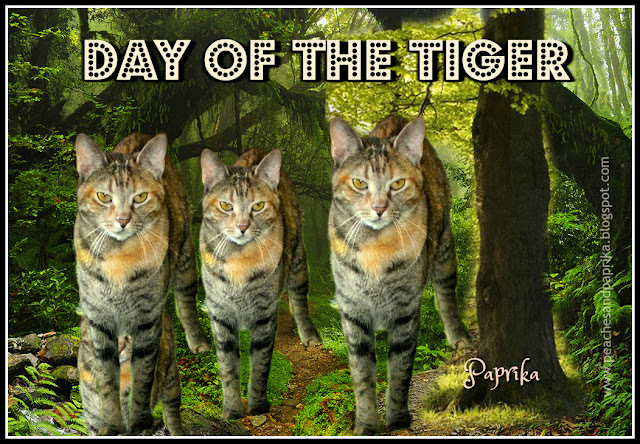 I have always thought myself a stalking tiger par excellence so for Caturday Art, I triplicated myself to celebrate this important day! Don't I (we) look like good stalkers? Peaches may be joining me later as she doesn't' approve of being excluded. International Tiger Day is a holiday celebrating the conservation of these precious animals. I'm sure we all agree, tigers are wonderful!! I consider myself descendent of a proud breed. From Peaches: you're darn right I'm joining you! I can't believe Paprika thought she was going to hog all the attention. I'm watching you, Paprika, I'm watching you! You look like a wonderful tiger. And there are three of you, too. You make a lovely tiger. I thought there were three of you in the first picture, but then I saw another one hiding below your first image. Beautiful mini tigers like me! Very cool! Happy Tiger Day! I didn't know it was Tiger Day before today, but you ladies sure look lovely representing them! Love today's art. They look like they're really in the wild.